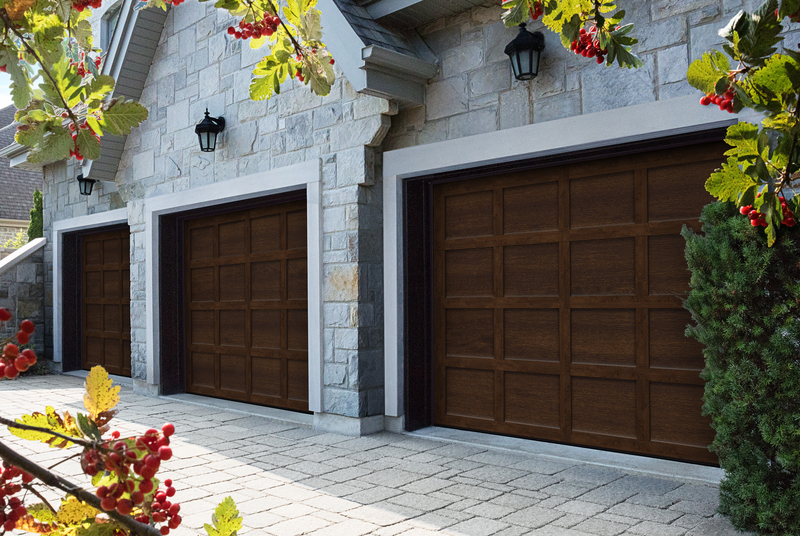 Are you leaning toward buying a wood garage door because of its look and warmth that it brings to your home’s exterior? It is certainly a good choice. Even so, did you know that you can get the same result with a metal door from Garaga? We are knowledgeable of all types of doors, whether they’re in wood or metal. Just like metal garage doors, there are various levels of quality found in wood garage doors on the market, from the most economic to the top of the line with custom carvings on the door. In any case, to keep its beautiful finish, a wood garage door requires regular maintenance from its owner. But before you go any further, ask yourself if it’s a country, traditional or even modern style you are looking for or, is it the natural aspect and type of wood. To help you make an “enlightened” choice when buying a wood or metal garage door, contact us! What’s more, we can provide you with a free quotation. 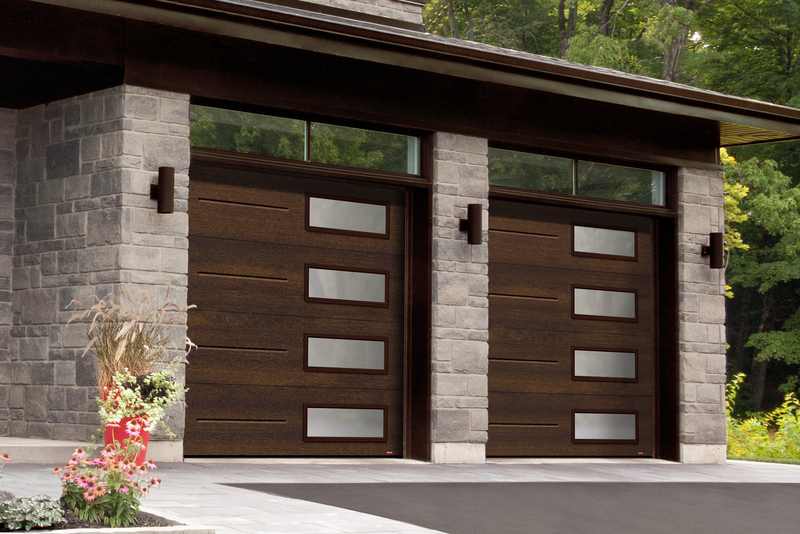 Did you know that Garaga has metal garage doors that give the appearance of wood doors? Several of their models are elegant and charming and are available with a finish, the colors Chocolate Walnut and American Walnut, which gives the appearance of woodgrain. For example, the decorative PVC overlays on Princeton and Eastman doors, from the Townships Collection, blend traditional charm with the latest trends. These same overlays on Cambridge doors, also from the same collection, recreate a classical heritage style. Similarly, the North Hatley carriage-house style available on the Standard+, Acadia and Triforce doors recalls the allure and classical elegance of swing doors seen in the 50’s. By selecting from wrought-iron like hardware, a full line of decorative windows, and the appeal of traditional door patterns, all these models of Garaga doors add value and prestige to your architectural environment. 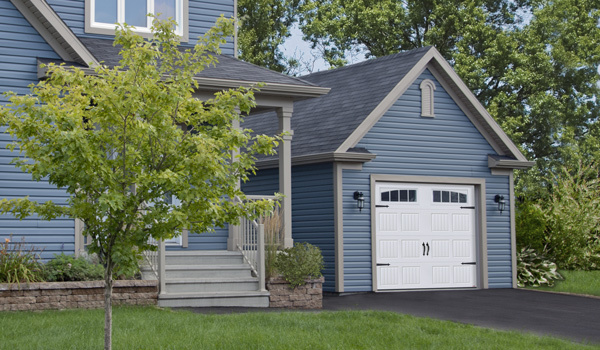 These GARAGA garage door models come with a baked-on paint finish requiring very little maintenance, giving you the look of a wood garage door without its main drawback. Isn’t that what you are looking for in a garage door? 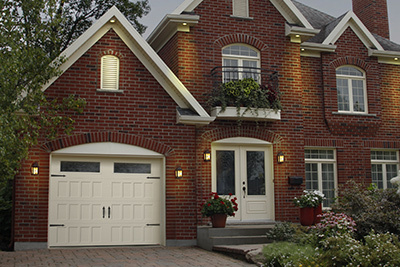 To help convince you, design your next garage door using our Design Centre. Go ahead – upload a photo of your current home, or one to be built, and let your imagination do the rest. Have you made up your mind? Contact us now to set up an appointment so we can help you plan your project. We can supply you with a precise plan showing how to prepare your door frame and the overhead space needed for your new garage door to work correctly. We also carry electric garage door openers and their accessories for sheds.